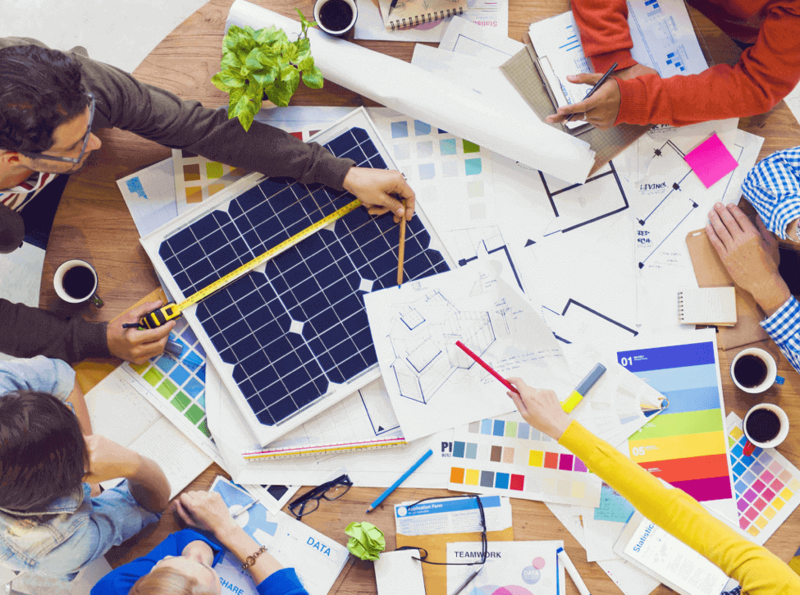 Become a designer of solar electric systems – on homes, buildings, or on the ground. With this PV Design Specialist training, you’ll become intimately more familiar with the steps and considerations that must happen before you ever touch a solar panel. This includes addresses customer expectations, paperwork and approvals, location options, code compliance, and project site assessment. * This course is also aligned with the knowledge areas for the NABCEP PV Design Specialist certification exam. Course Description: This solar system design class provides the knowledge-based skills that are used in the pre-installation phase. It’s important to align a solar PV system’s design with the customer’s needs from the start. Depending on whether your client wants to lower his/her energy bills, help the planet, or simply have backup power, these considerations may impact how you arrange the system components. In addition, you’ll need to factor in budget and location surface area into your system sizing. Solar system design is largely about coordinating with a client, local code officials, and other stakeholders in the solar installation process. Learn the key behaviors that will ensure your success as a solar system designer! Who Should Take This Course? : This course is ideal for architectural designers, electricians, journeymen, and anyone interested in pivoting their career in the direction of solar PV system design. Course Format: PV202 is available 100% online and features video presentations, practice questions, PDFs, and useful links to additional online content. We recommend that students spend 34-40 hours in total completing this course. The course fee is $999 with no hidden fees, taxes, or shipping/handling. Option 2 - CHECK - Call us at 877-758-0861 to create an order. Mail check to address on invoice. Option 4 - PAYMENT PLAN - Call us at 877-758-0861 to make a down payment and to pay at your convenience. Posted on Sat, 2018-06-02 07:17. I'm in South Africa do I qualify? I've been doing solar for 23Yrs and comply to the IEC standards as well as local. Posted on Mon, 2018-06-04 09:54. Anyone is most welcome to take our course, which is completely online, in recorded video presentations that you can watch at your own pace. However, the North American Board of Energy Practitioners (NABCEP) is the organization that created this certification, and at this time, they are only administering the certification exam in North America (US/Canada). International students are able to take the exam if they have their own method for obtaining a VISA to travel to a location that administers it.